Web hosting is a service offered by the hosting service provider, letting you place your website files on their server and allows you to use the server resources required to run a website over world wide web. There are many companies which provide free web hosting but the quality of hosting service greatly affects your website’s performance. Free hosting have limited resources and not reliable all the time for production purpose. However, if you would like to get yourself familiar with the technicalities involved with it you may try a couple of free hosting services before actually buying a paid service. Before actually buying a hosting package, you will need a domain name, which would be literally the name of your website. Particularly, domain names consist of a name followed with .extensions. A couple of examples of domain name can be www.codingandprogramming.com, www.facebook.com, www.google.com etc. These days you can choose a number of tld (top level domain) domain names with extensions such as .com, .net, .org, .tv, .mobi, .us, .asia and many more as per your choices. The companies that offer domain names are known as domain registrars. Some of the famous and well known domain registrars are godaddy.com, bluehost.com, hostgator.com, crazydomains.com.au. Once you have your domain name registered through a domain registrar you are ready to put your site up and running with a hosting service. 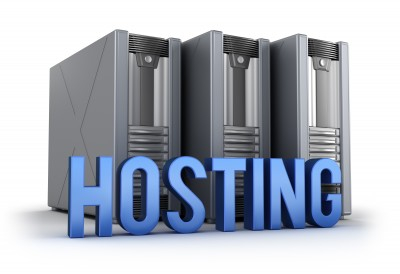 There are several different types of hosting services being offered by hosting providers. You may be not sure which one to choose. For startups, I would suggest to go for a shared hosting plan, as initially they will not be experiencing heavy traffic to their website. You can determine the type of hosting service required by you according the the amount of traffic you are expecting for your website to receive. If you presume to get 1000-1500 visitors a month, a shared hosting package will be more than sufficient for you. You can always move on to a bigger plan as you requirements grows. Most of the hosting, comes with pre-installed scripts which will make your work easier. Installing websites, blogs, forums, e commerce website are not that hard and you would be able to accomplish it by going through a couple of video tutorials provided by your website hosts. All the managed hosting services comes with a easy to use GUI web hosting control panel. You can use your hosting cpanel to manage your website efficiently without prior programming knowledge. Remember, if you are trying to put up a business with long term goal in mind, using a cheap hosting service is not always fruitful, so I would suggest you to choose a reputable hosting company rather that getting attracted to cheap hosting companies . On the basis of current market trends and service performance. I have prepared a list of best hosting providers which are affordable yet reliable. Go daddy is counted among the most reputable web hosting providers with dependable service. Their unlimited single site hosting plans starts as low as $3 per month. Blue host is also counted among the top hosting service providers and their linux hosting plans starts with $4 per month. Hostgator’s hatchling plan starts with $3.96 per month with unlimited disk space and bandwidth for hosting one site only. Ramnode.com provides the best performance hosting with unmatchable pricing starting from $15 a year. However, they only offer self managed VPS so I would not recommend them to starters. If you have working linux knowledge and can handle a virtual private server of your own, then you must surely give them a shot. Customer service is impeccable, you get your support tickets answered in matter of hours. Again, digital ocean provides world class hosting service but only for experienced developers.